Above: Lost Dutchman State Park at the base of the Superstition Mountains. During the 1840's, the Peralta family of northern Mexico supposedly developed a rich gold mine in the Superstitions. According to legend, an Apache ambush ended the family's last expedition, and the gold remained in the area. In the 1870's, Jacob Waltz ("the Dutchman") was said to have located the mine through the aid of the Peralta descendant. Waltz and his partner, Jacob Weiser, worked in the mine and allegedly hid one or more caches of gold in the Superstitions. Most stories place the gold in the vicinity of Weaver's Needle. After Waltz's death in 1891, several people attempted to seek out the Lost Dutchman's Mine, all without luck. Later searchers have sometimes met with foul play or even death, contributing to the superstition and legend of these mountains. The legend of the "lost mine" has been fueled by a number of people who were supposed to have known the mine's location or even worked it. Maps have surfaced over the years, only to become lost or misplaced. Please use caution when hiking at the park. Those planning to use the longer trails should carry a topographic map. Each person should carry at least one gallon of drinking water per day. Remember summer temperatures often exceed 100°F. Treasure Loop Trail: Length 2.4 miles round trip, rated moderate, elevation change of 500 feet. It terminates at either picnic area. Prospector's View Trail: Length 0.7 miles, rated moderate. It connects Siphon Draw Trail with Treasure Loop Trail also connects with Jacob's Crosscut Trail. Jacob's Crosscut Trail: Trail runs 0.8 miles along the base of the mountain, rated easy. It connects Treasure Loop Trail with Prospector's View Trail, and continues 4.5 miles past the park area along the base of the Superstitions. Siphon Draw Trail: 3.2 miles round trip, a very scenic hike, this trail winds up into a canyon known as Siphon Draw. It is possible to hike up the Flatiron, although it is not a designated, maintained trail all the way. It's advised that only experienced hikers in good shape attempt to hike to the top, as the climb is steep and difficult to follow. Allow at least five hours to the Flatiron and back. Discovery Trail: Connects the campground and day use areas. Features information signs, a wildlife pond, bird feeder and viewing bench. Facilities: Group camping area, group picnic ramada. Amenities: Ramadas, tables, water, fire pit, grills, electric (group picnic area Ramada). Maximum Group Size: Camping area – 150 people, picnic area – 100 people. Restrictions: General park rules and regulations. Hours: Sunrise to 10pm, Renew by 11am,. 12pm check out for campers. Group Use Fees: Fees apply. Please call for current fees. Contact Name and Phone Number: Park Staff – (480) 982-4485. No ground fires (fires ok in established fire pits) or wood collecting in park. Damage or removal of natural rocks, vegetation, or public property is prohibited. Vehicle with tow vehicle is considered one unit, maximum 12 people. $15 per extra vehicle. Call 480-982-4485 for details. 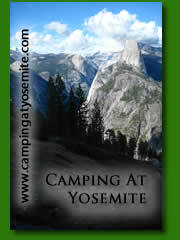 There is a 15 day stay limit for campground. Checkout time is 12:00 p.m.
Quiet hours are 9:00 p.m. to 8:00 a.m.
Boyce Thompson Arboretum State Park, Superstition Mountains, Tonto National Forest, Apache Trail, and Apache, Canyon, Saguaro & Roosevelt Lakes. The park is located 5 mi. 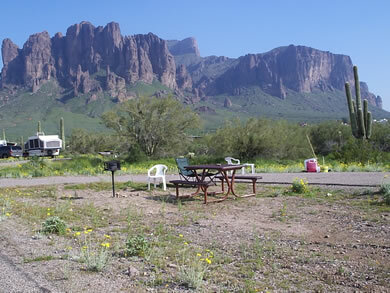 north of Apache Junction, off of AZ 88 (the old Apache Trail), at the base of the Superstition Mountains.